Why is my dog shaking his head a lot? 6 questions answered. There can be many reasons for a dog to shake its head, and it is quite normal for them to do so occasionally. For example, after they have been in water they shake from head to tail to help get dry more quickly. Or, if you are out in the summer evenings they may shake their heads due to lots of little insects flying around. However, if your dog is shaking their head a lot you definitely need to take heed. What are some of the reasons why? a grass seed – some grass seeds are terrible, particularly barley grass. With one end being particularly sharp, they can embed and actually travel deep into body tissues. As well as the ears, they are renowned for breaking the skin in between dogs’ toes and then travelling up the leg. As you can imagine, this is extremely painful and can cause open sores that don’t heal. 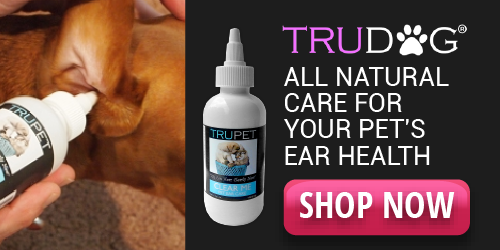 a build up of ear wax – just like people, this can affect dogs as well. For anyone that has got water in their ear during swimming, it’s a similar feeling with a build-up of wax. You may have tried hopping up and down on one leg, with your head tilted to one side, in order to release the water. Similarly, dogs may shake their heads a lot to try and dislodge the wax. an accumulation of insect bites – one or two individual bites is unlikely to cause a dog huge discomfort, but if they are bitten or stung multiple times the thin skin around the ears can quickly become red, inflamed and itchy. The ears contain a lot of skin and any allergy that affects other areas of a dog, can quite easily affect the delicate tissues in and around the ears. Allergies are not curable, but they can be managed through specific medicines and treatments. an ear problem could start as one of the above, but quickly generate into a full blown infection. Some dogs are more susceptible to these, whether through a weaker immune system or because they are just plain unlucky. Infections can be either bacterial or fungal. Some dogs can develop little polyps, or skin tags that are attached to the lining of the inner ear. Similar to a foreign body or excess ear wax, a dog may feel his ear is blocked. Apart from the shaking, there are other signs that your dog has an ear problem. A discharge or horrible smell – this is a problem that needs addressing urgently, as either of these is a sure sign that there is an infection present and if left, your dog could become unwell very quickly. Scratching at the ears persistently – if shaking alone doesn’t give relief to your dog, they will quite often start to scratch at their ears in desperation to get rid of whatever is causing the discomfort. Holding their head on one side – this indicates that they are attempting to either relieve symptoms of pain or pressure, and it’s likely that this head tilting helps to some degree. This on it’s own can also be a sign of a stroke or an inner ear infection, which is affecting the dog’s balance, so please seek urgent vet attention in this case. Swelling or redness of the ear – it’s a good idea to perform routine inspections of your dog, running your hand over their bodies to feel for unusual lumps and bumps, so it’s a good idea to check around their eyes and ears regularly too. A loss of hearing – this may not be obvious at first, but if you know your dog well you are likely to pick up that their responsiveness to sound has lessened. The best thing to do is take your dog to the vet! What treatment can I expect for my dog? Vets have the right examination tools to check your dog’s ears and can match the medicine or treatment with the condition. If there is any sign of discharge or odor, they are likely to take a small sample collecting it with a swab. This would then be sent away for further lab analysis to find out what type of organism is present – an important step because bacteria and fungi require very different treatments. Also, there can be massive variations in bacteria types as well, so any antibiotics need to be prescribed accordingly. This is why you should not try and use previous medication – it may well be a completely different infection, and will need different medication. If your dog’s ear requires a major flush out, it’s possible your vet will do this under anesthetic so as not to cause undue pain. Occasionally an ear problem might be more serious and surgery might be required. What could happen if left untreated? There are several things that could happen if any ear problems are left untreated. This happens when trauma is so sever to the delicate ear tissues that blood vessels within rupture. It can occur from vigorous and continues head shaking. It can also occur from constant scratching at the ears. Either way, an aural hematoma is like an internal bruise. Swelling occurs as a result of a pooling of the blood or fluid, and sometimes a blood clot is present as well. This is likely to cause severe pain for your dog, and usually requires surgical intervention to remedy the problem. Thanks for reading through these six common questions about why a dog shakes its head. Hopefully you’ve found the answers of benefit to you and your dog – or dogs, if you are lucky enough to have more than one! ⟵Heartworm symptoms in dogs. What is a worm burden? Enjoyed reading your article. Over the years we have experienced many of the issues you describe with our dogs but the one i didn’t know about is aural hematoma. We will keep that in mind the next time something develops and we are not quite sure what is irritating our pup. Cheers! My mums dog had this problem about two years back and the vet in town told her that if left untreated permanent ear damage can occur including a ruptured eardrum or even hearing loss. It turns out that she had fly bites to the tips of the ears that we hadn’t noticed – we felt very guilty but dogs will be dogs! Hi Chris and thanks for sharing your own experiences. It can be difficult to keep up with what might be bothering dogs, especially if they are outdoors a lot. Our German Shepherd picked up ticks on a regular basis, by running through long grass on a regular basis. I remember the first time we saw one and had no idea what it was, so it was off to the vet thinking it was some kind of terrible growth starting. We did feel stupid, but it was worth it as he gave us a tool to remove them and showed us what to do. Most dog owners have been in a similar situation at one time or another. Glad your Mum’s dog got it sorted.